I used to only think in numbers. Now, as an English major at Bates, this seems absurd. But it’s true. In high school, I measured my success as a cross country and track-and-field runner based on how fast I could run certain events. I was the senior captain who could run a 5K under nineteen minutes and a sub 5:10 mile. I was the anchor leg for every 4×800 relay because 2:16 was always my split. Distance runs became daily competitions and workouts were all out or nothing. I let these splits and times define my career at Andover High School. I restricted my diet because I was convinced this would make me faster. If I didn’t run a personal best time I could not be satisfied. Seeing all the success, I thought I was happy. My room at home was lined with medals and reminders of school records I was able to squash. Before I came to Bates, I thought I would continue to run on the same high. I thought I just wanted to keep getting faster. Then, right before my high school graduation, my life took a turn. I lost my father to cancer and soon everything that I thought was normal became unfamiliar. I was hesitant about even coming to Bates and I really didn’t want to run anymore. I was terrified of all the changes I was about to face. Despite my fears, I could not rid myself of the feeling that Bates was my next step. My next chapter. So, I ran and tried to channel my high school self’s endurance and grit. I did not trust the workouts and sprinted intervals that were meant to be kept consistent. I dropped the baton in my first two 4×800 relays. I kept restricting my diet. My times did not come close to those that I saw in high school. I had no pace or direction. Frustration became my constant emotion and the idea of quitting at the end of my freshman year seemed the easy answer to make these negative feelings sail away. Deep down I knew I was not a quitter and that I would regret my decision to stop competing. But something about my mindset surrounding running needed to change. I realized that my obsession with numbers took away from my passion for the sport and my physical and mental health. So, what changed? I was honest with myself and admitted that I needed help. I found help outside of track, began to talk about my grief, and realized that trust was my chief obstacle. Once I was able to open up to others, I felt a sense of relief. I realized that my life was not measured by how fast I could run certain races. I realized that I needed a clean slate, one not marked by the past. Hence, I discovered aspects of Bates beyond running that helped to reshape my personality. This is how The Bates Student became part of my life. One sports article that I experimented with my freshman year marked the first step in my path to where I am now as Editor-in-Chief. I value helping students finding and sharing their voices with the Bates community while also showcasing the diversity of talents and perspectives that span our student body. Our staff’s dedication to the paper exemplifies the collaboration and trust missing from my freshman mindset. I want to remember my student-athlete experience at Bates as a time of friendship, love and support. 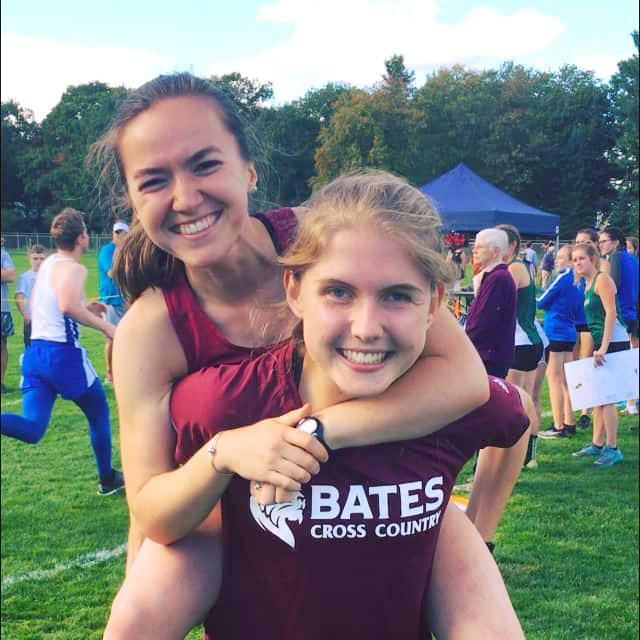 As a senior who has competed since her freshman year of high school and is about to begin her twenty-fourth season of running, I realize that the most successful races I have had at Bates were the ones where I pushed my thoughts aside and trusted my team. I still have not come close to my high school times. However, I have experienced NCAA races with my cross-country team and earned All-America honors as the 1,200 leg of the distance medley relay. I run workouts according to my coach’s pace and have learned to split races more evenly. I stopped worrying about what and how much I was eating in Commons. I stopped setting myself to unreachable standards. I learned to love the sport again. What made the difference? I have been able to forget about the numbers. I stopped worrying about my times and remembered why I love the sport. I love being a part of a team where we all support each other on and off the track. I was once terrified of change. Now, I realize that it is just a natural course of life. I value adversity as central to my identity and look forward to one last season of running with a team that has become my Bates family. 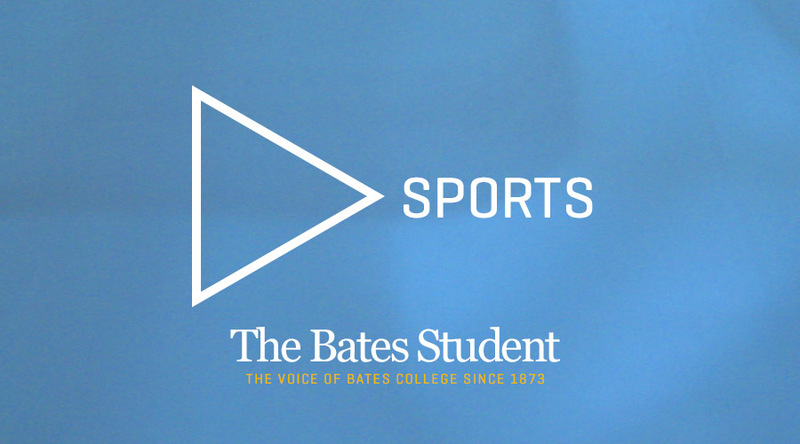 All senior student-athletes should take a moment and reflect upon their athletics experience before and after Bates. I couldn’t end this article without quoting my high school track coach: “It’s not where you start…it’s where you finish.” Soak in your final moments as a Bobcat. Think beyond the numbers.